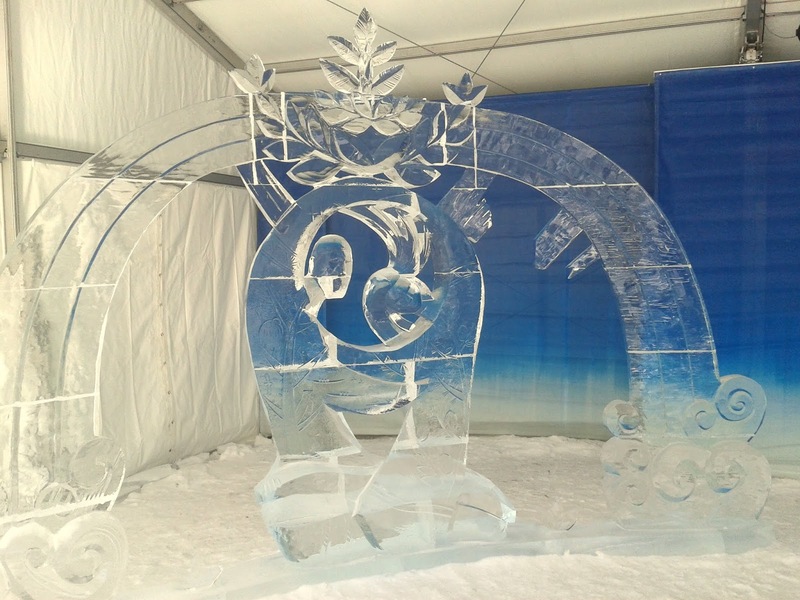 This is the second of three weekends of Winterlude 2013 in Ottawa. Despite the heavy snowfall on Friday, people were out in droves trudging through the snow or enjoying the Rideau Canal Skateway. My wife and I revisited the Crystal Garden at Confederation Park to see how the results from ice sculpting competition from last weekend turned out. 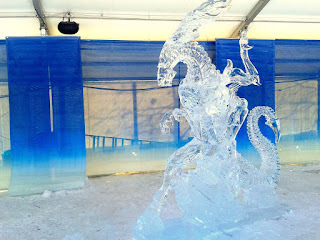 Overall there were about twelve ice sculptures of which I was able to take the photos below. Others were hard to get to because of the number of people. Interestingly these ice sculptures are lit up at night to provide a different ambiance. 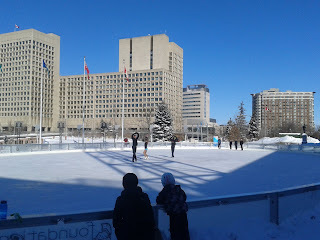 Across the street, at Ottawa City Hall, there was figure skating on the Rink of Dreams. 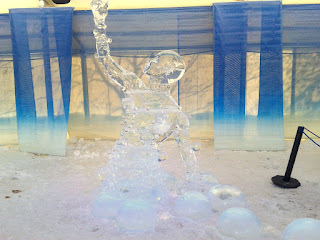 Where young figure skaters wowed the crowd with their choreographed jumps and other movements. 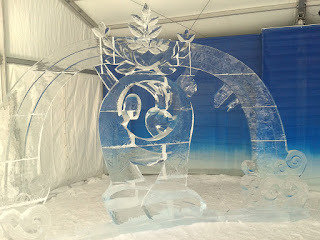 We have pretty well seen everything now for Winterlude 2013 and still have a weekend to go. 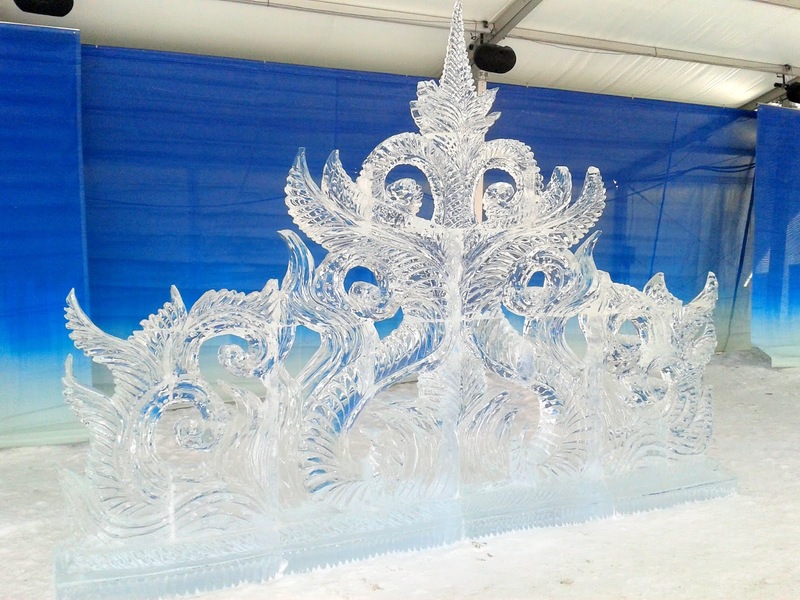 Next weekend will be the busiest as it is the long Family Day Weekend in Ottawa. 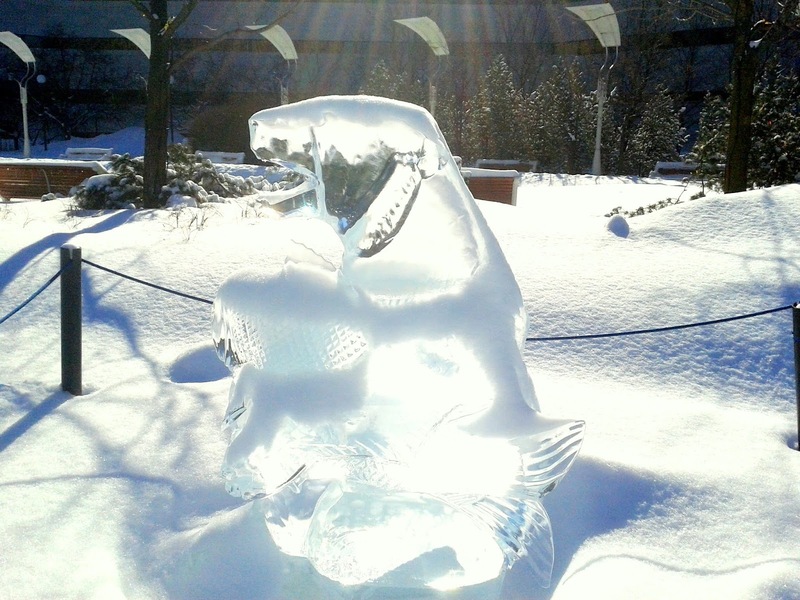 Hopefully the ice sculptures and snow slides will make it through the rise in temperature to 5 degrees Celsius on Monday with sunshine so everyone else can enjoy!